The Pennsylvania State Historic Preservation Office, the Pittsburgh Department of City Planning and the Urban Redevelopment Authority have been working with the Lawrenceville community to see the neighborhood added to the National Register of Historic Places. Please join us at 6.30 PM on Monday, December 10th at the Goodwill Workforce Development Center (118 52ndStreet, 15201) for an update of our efforts. National Historic designation does not restrict property owners in any way or provide any additional restrictions or oversights. National Register designation creates exceptional marketing and promotional opportunities and is a way to raise public awareness about a community’s history. Information about the National Register of Historic Places may be found on the State Historic Preservation Office’s website here: https://www.phmc.pa.gov/Preservation/National-Register/Pages/default.aspx; and on the National Park Service’s website: https://www.nps.gov/subjects/nationalregister/index.htm. Questions? 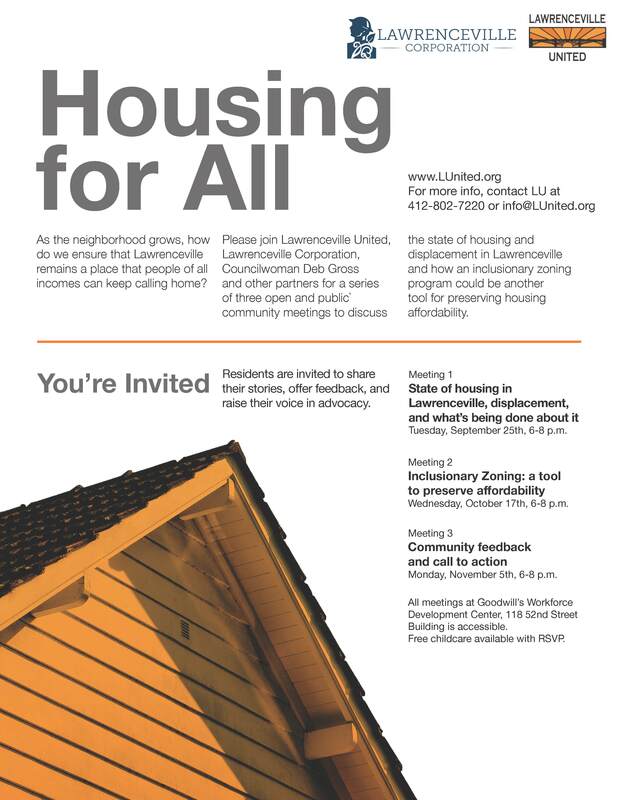 Contact your neighborhood planner, Andrea Lavin Kossis, at Andrea.LavinKossis@pittsburghpa.gov, or 412.255.2223. 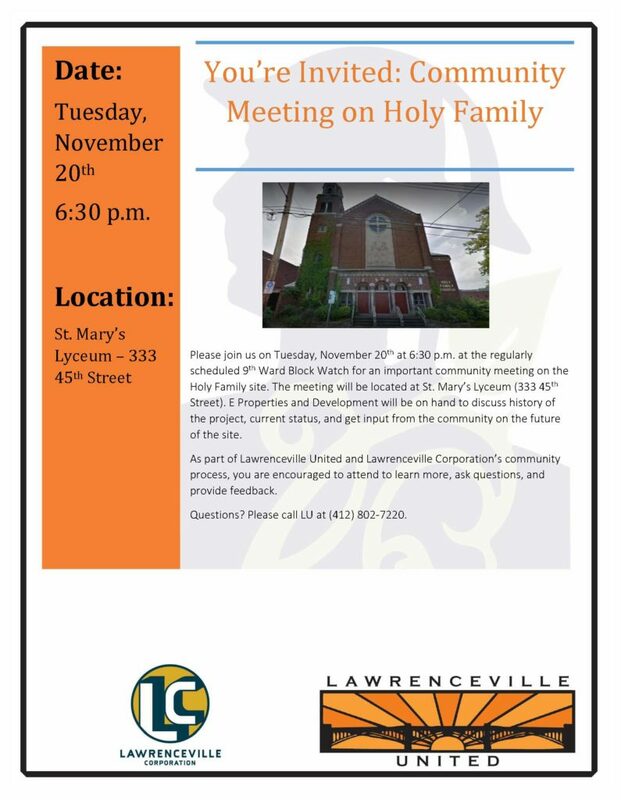 Lawrenceville United and Lawrenceville Corporation had requested during the public comment period that fenceline monitoring of toxic metals continue, that the emissions testing be conducted more often than every 5 years, that odor complaints need to be addressed, and that further communication/study should be conducted about the impacts of air quality on the health of Lawrenceville residents, especially our most vulnerable. ACHD created a provision in the final operating permit requiring McConway and Torley to do a traverse around the site daily to monitor, record, and address odors. ACHD disagreed with other LU’s other comments or deemed them inapplicable to the operating permit. 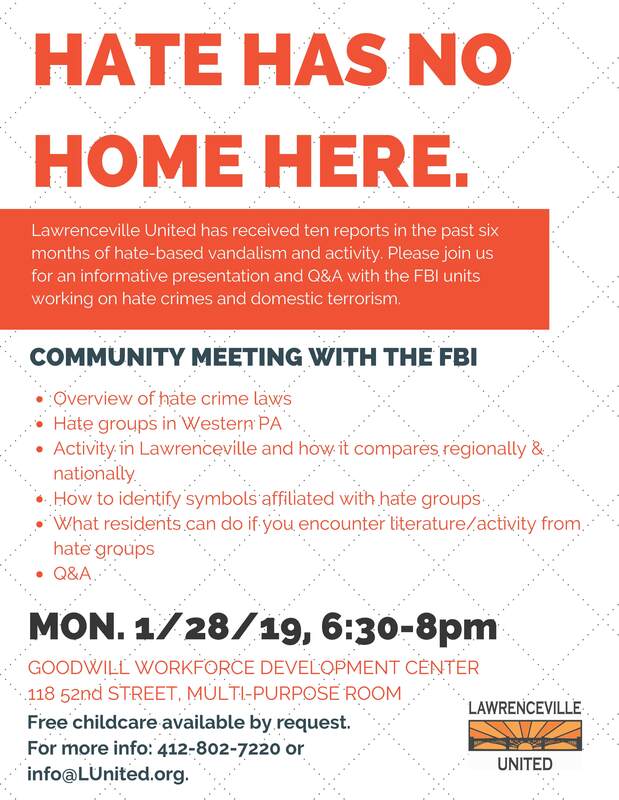 LU and LC created a joint letter outlining our disappointment with that result and again reiterating the need for ACHD to continue fenceline monitoring, address odor complaints, and dedicate resources to do further study of epidemiological trends in Lawrenceville. LU presented that letter (see HERE) at the Allegheny County Board of Health meeting on Wednesday, November 7th. A couple Lawrenceville residents also spoke who have recently started a small group of residents to meet monthly with a goal of raising more attention to air quality issues in the neighborhood. If you’re interested in getting involved with that group, please contact info@LUnited.org for more information. 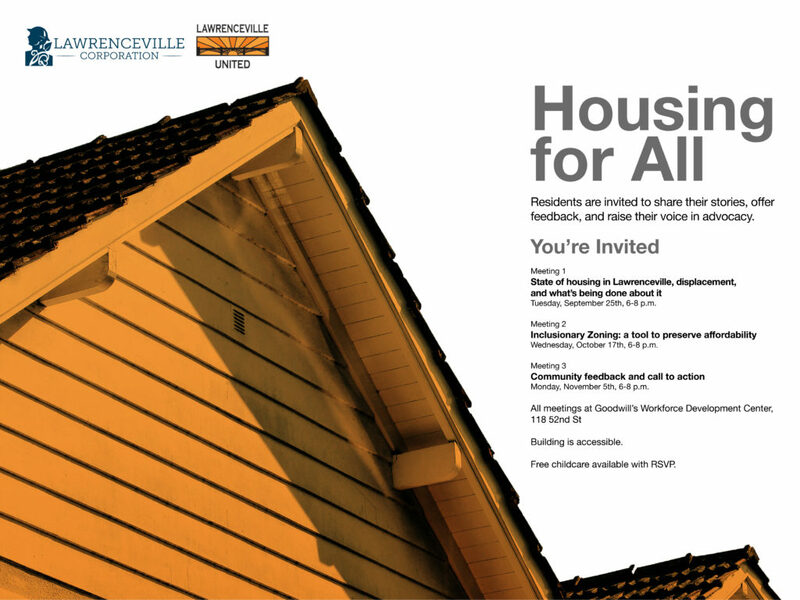 Sign the petition to support the Lawrenceville Inclusionary Zoning IPOD and share it with your neighbors! Speak at an upcoming City Council standing meeting on 11/27, 12/5, 12/11, or 12/19 (all at 10 a.m. at City Council chambers) to voice your support for inclusionary zoning! 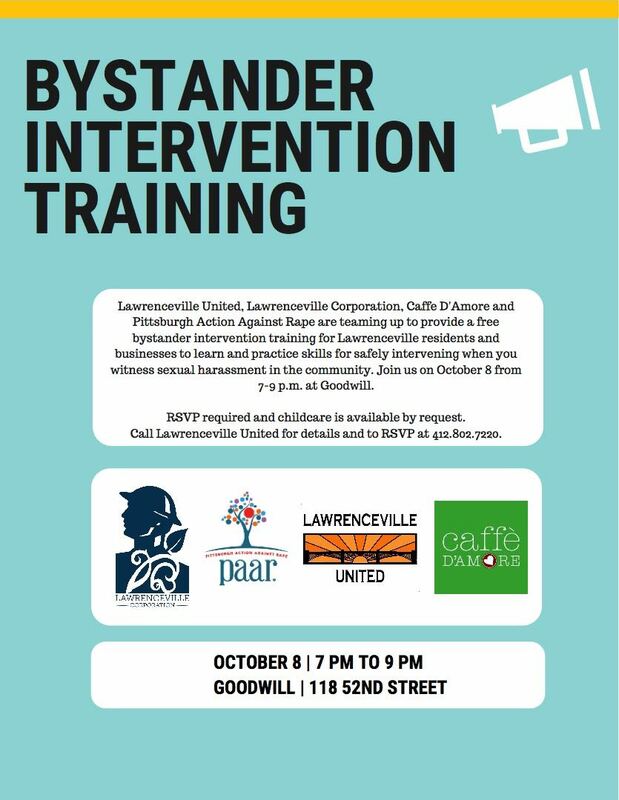 Contact info@LUnited.org or 412-802-7220 for more information. Join us on 9/18/2018 at 6:30 p.m. at St. Mary’s Lyceum for the next 9th Ward Block Watch.